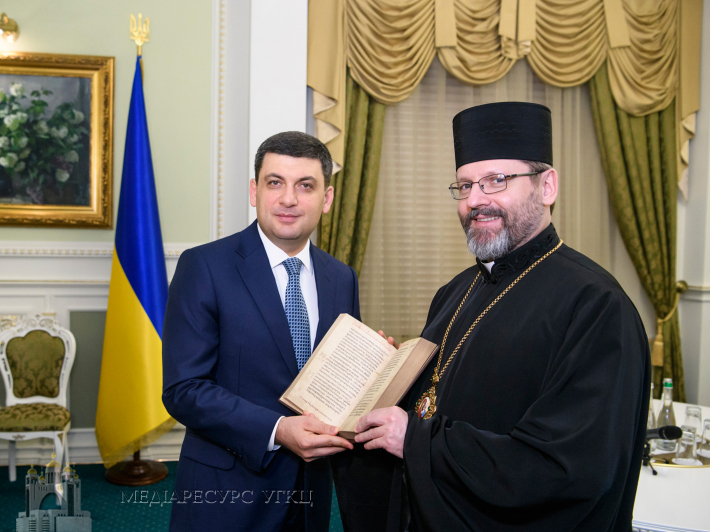 On February 1, 2019, at the premises of the House of Government of Ukraine, a meeting was held between the Head of the Ukrainian Greek Catholic Church His Beatitude Svyatoslav with the Prime Minister of Ukraine Volodymyr Groysman, where a facsimile edition of the Galician Gospel of 1144 was presented to the Ukrainian Head of Government. Its presentation was held on November 23, in Sofia, Kyiv. 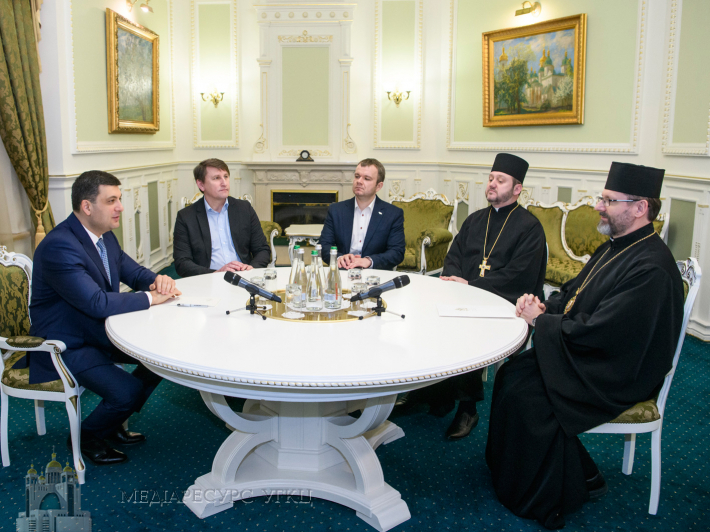 During the meeting, a number of important issues regarding the current situation of the Ukrainian State were discussed, mainly the further implementation of the necessary reforms and the need to support the dialogue between the State and the Church and thus form a common vision of the future. The importance of affirming the spiritual values of the Ukrainian people rooted in the Christian spirituality of the times of Kyivan Rus was discussed substantively. The Head of Government in particular said: "Our common task now is to develop the state and spirituality. Faith is the foundation on which we can build well-being and prosperity. I am deeply convinced that this can be done through dialogue. " According to him, meetings of representatives of state authorities and clergy help to outline common steps for the development of the country, better understand the current tasks and the future of cooperation. The Head of the UGCC therefore emphasized that it is important for the religious community to build partnerships with state institutions. And each dialogue and meeting is "the opportunity to serve for the common good of our people and our state."